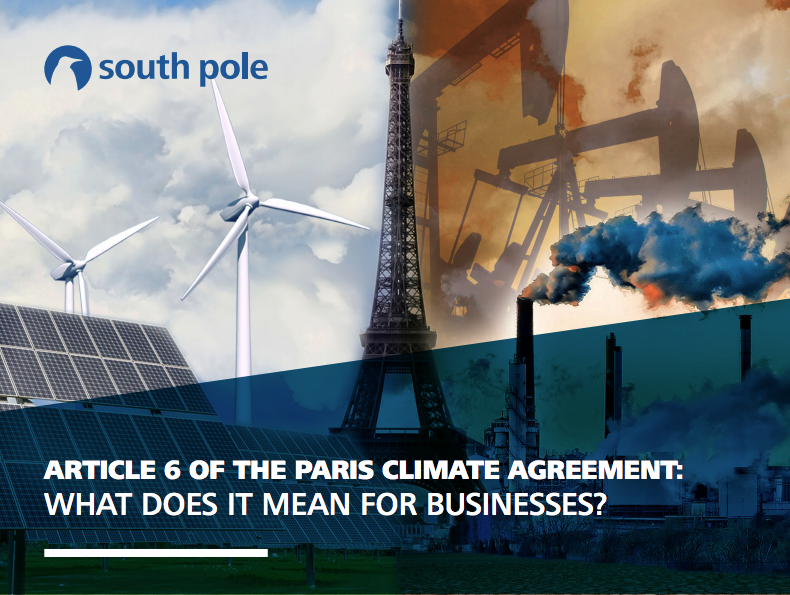 Article 6 of the Paris Agreement: What does it mean for businesses? The inclusive nature of the Paris Agreement means that countries may turn to companies to help achieve their national climate contributions (NDCs) by using collaborative approaches outlined by Article 6. Many businesses are also eager to contribute directly to the Paris Agreement, and Article 6 is seen as a potential way to do so. As countries start exploring the use of Article 6 to achieve their NDCs, companies will receive better signals on the type of emission reduction activities that they can also engage in. Having a clear role for the private sector in Article 6 is crucial: It will help unleash new technologies and methods that can further governments' efforts to reduce emissions and achieve the 2 degree goal of the Paris Agreement. This White Paper explores how Article 6 may impact future investments and engagements with carbon markets for businesses ahead of the anticipated emergence of a 'rulebook' for Article 6 at the December 2018 COP24. To read more about the practical recommendations on how to operationalise Article 6, we invite you to have a look at our recent research report on the topic.